New collection! 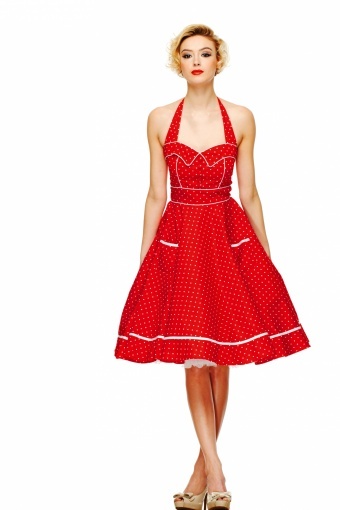 Gorgous 1950s style halter Olivie Swing Dress in Red and White Dot from Bunny. 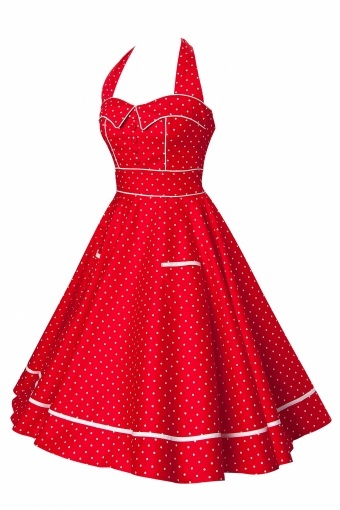 This is an iconic vintage style halterneck dress, in a trendy vibrant red with small white polka dots and a flowing full circle skirt made of coton with stretch. 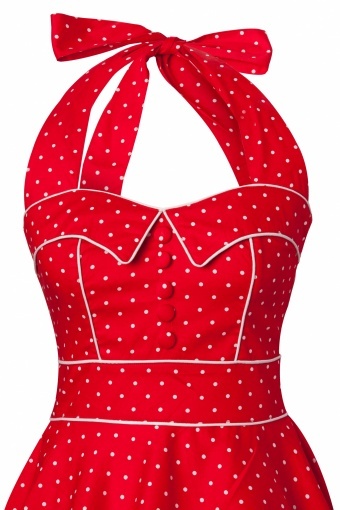 The back also has an elasticated panel which ensures a tight fit around the bust and waist. 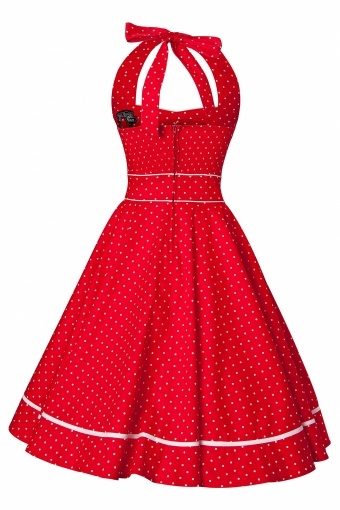 The dress is trimmed with a whitestrip above the hem, white cotton piping around the waist, pockets, along the bust and either side of the front. 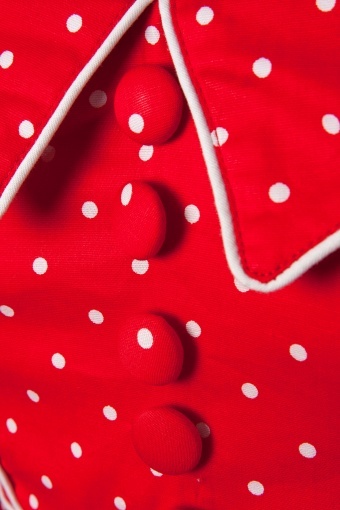 Also availble in Royal Blue, Striped Blue, Mint and Pink!